Whether it is guest entertainment like Boothtube that you want to book for your big day or you just want to find out more about what they can offer, come along to our popular North West Wedding Fayre on 17th September, 12 - 4pm for this and much more! We will have everything that you need to plan a wedding, all under one roof. Special offers from suppliers and fantastic prizes to be won in our FREE raffle - winners will be announced at our catwalks at 1.30pm and 3pm. Aloe with us is offering 10% purchases on the day with the code AWUCW17. Come along to our popular Cheshire Wedding Fayre on Sunday 12th February for this offer and many more! Whether you are looking to get fit and healthy for your big day or you are after wedding ideas and wedding inspiration, come along to our fabulous Red Event Wedding Fayre on Sunday 12th February. You will be greeted with a complimentary drink and canapés on arrival, all you need to plan a wedding under one roof and free entry in to our raffle with winners announced during our catwalks! You can find out more about Aloe With Us here. Wow. We had an amazing day and turn out to our Leasowe Castle Wedding Fayre on Sunday!! We just want to say a big THANK YOU to all the brides & grooms that came along and to our suppliers for their fabulous stands! Plush Booths for all your weddings photo fun and guest entertainment! Real life Owl Ring Bearers we feel in love!! Twit Twoo! If you did not manage to join us on Sunday or you are still looking for more #Wedding Ideas or Wedding Suppliers then you will not be disappointed as we have TWO fantastic #RedEvent #WeddingFayres in #February at two stunning Hotels! Looking to add a bit of fizz to your big day? Come along for a free glass of prosecco from The Prosecco Bar which will have their van outside of Leasowe Castle during our popular North West Wedding Fayre this Sunday 29th January 2017 12-4pm. The Prosecco Bar are offering a free photobooth with bookings made on the day! The Prosecco Bar comes to you! It offers a great mobile bar experience with a twist! It is the latest in dual function that other mobile bars simply don't have. With bottle prosecco and Frizzenti on tap along with an integrated Photo Booth their little van has it all - Fizz & Snap! 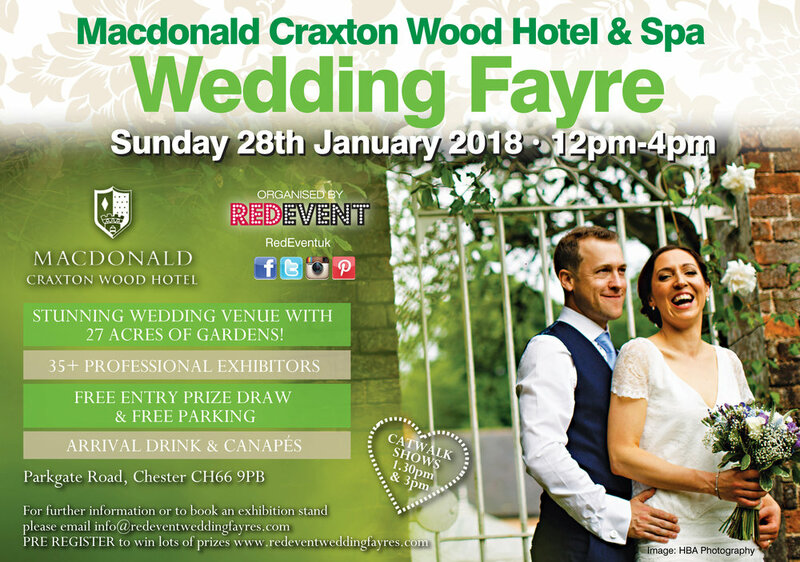 Whether you are looking to book The Prosecco Bar or try their fizz, looking for wedding ideas or inspiration, come along to our popular North West Wedding Fayre on Sunday 29th January 2017! 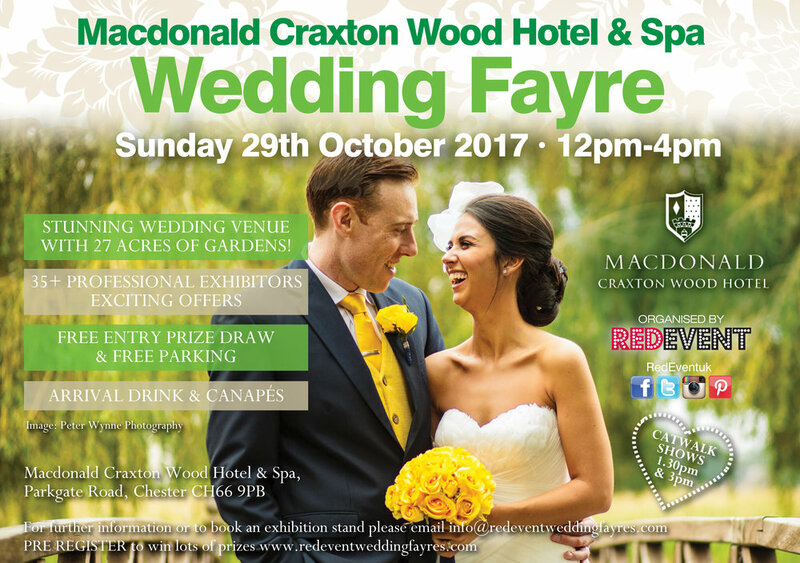 Free entry in to our raffle and special offers from suppliers on the day only - come along to see everything you need to plan your wedding in one venue! All you need to do to be in with a chance to win a FREE bespoke guest book is visit Elizabeth-Rose Designs stall during our North West Wedding Fayre and give them your email address! Make the first impression the right impression. Elizabeth-Rose Designs create bespoke handcrafted Wedding Stationery to suit your theme. Each item is lovingly created by hand, items are bespoke and they will do their utmost to match your theme perfectly. Elizabeth Rose Design has also donated a £25 voucher off Wedding Stationery that will be given to one lucky winner, in the raffle during our catwalks. Whether you want to decide on stationery or you want wedding ideas or inspiration, come along to our popular North West Wedding Fayre on Sunday 29th January 2017 12-4pm! Munros Menswear - stocking all manner of items from suits and shoes to hats and shirts! Murnos also offers a popular hire service for weddings! Munro's will be exhibiting at our popular North West Wedding Fayre at Leasowe Castle on Sunday 29th January 2017 12-4pm and they will be offering a fantastic 10% off, a great deal for the Grooms and Ushers! Be sure to watch our catwalk shows at 1:30pm & 3pm to see their amazing suits!! Prizes to be won!! Pre register for the Leasowe Castle Wedding Fayre before Friday 27th Jan! Register today (or before Friday 27th January) for your FREE ticket for the Leasowe Castle Wedding Fayre this Sunday 29th January AND for an extra entry ticket into our on the day free prize draw! Visit our Blog for prizes to be won!